Having powered to silver medals at the World Championships and Europeans in the junior category last year Xeno Young has made another elite national team. This time the 18-year-old will represent Ireland at the final round of the UCI World Cup. It takes place in Minsk at the weekend. He rides the individual pursuit on Saturday. Young has already secured selection for the Commonwealth Games on the Northern Ireland team. He is expected to ride the pursuit, TT and road race events on the Gold Coast in April. And Cycling Ireland said he was being selected for Minsk to help him prepare for the Games. He is part of a three-rider team for the Minsk meeting this weekend as others chase World Track Championship qualification. One man who has enjoyed very significant success on the track over the past 12 months, Felix English is also in the team. 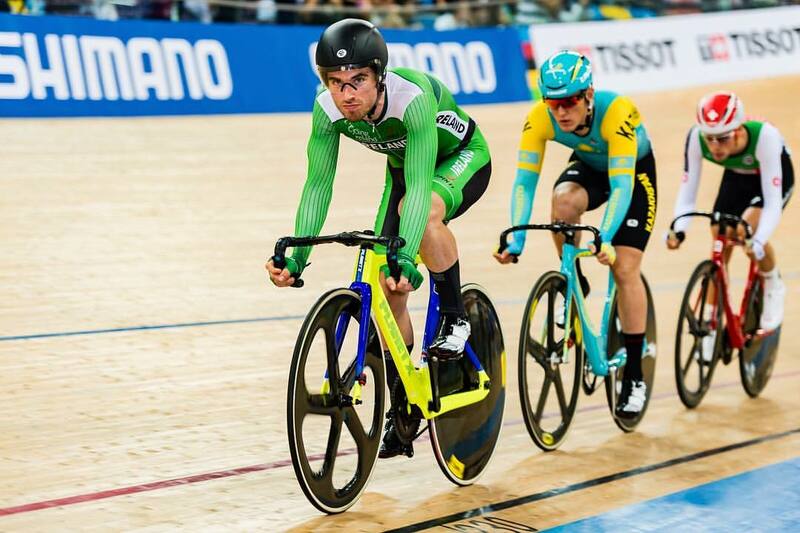 With partner Mark Downey he claimed silver and gold medals in the Madison event at UCI World Cups. Those results came in Cali and Los Angeles early last year. Robyn Stewart, top, and Felix English. He has also taken several top five placings in international omnium events. They include 5th in Europeans last October. The Madison is now an Olympic event and English and Downey are already eyeing Tokyo 2020. He will be riding the omnium this Sunday. Robyn Stewart is also in the team for what is the final UCI World Cup of the year; starting on Friday. 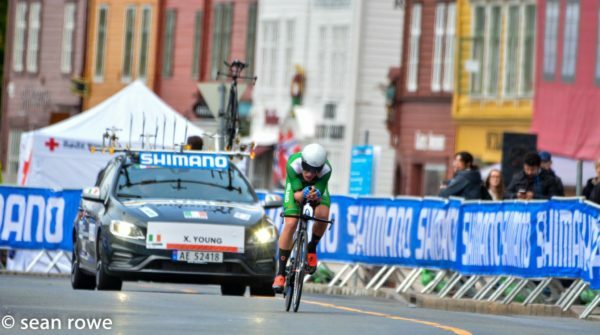 She is the first Irish woman to qualify for the sprint in the UCI World Cups. She will be competing in the sprint event on Saturday. Stewart will be riding to gain points for Worlds qualification. Furthermore, if she makes it to the Worlds, in Holland next month, she would be the first woman from Ireland to compete at sprinting on that stage. Like Xeno Young, Stewart is also already selected for the Commonwealth Games. 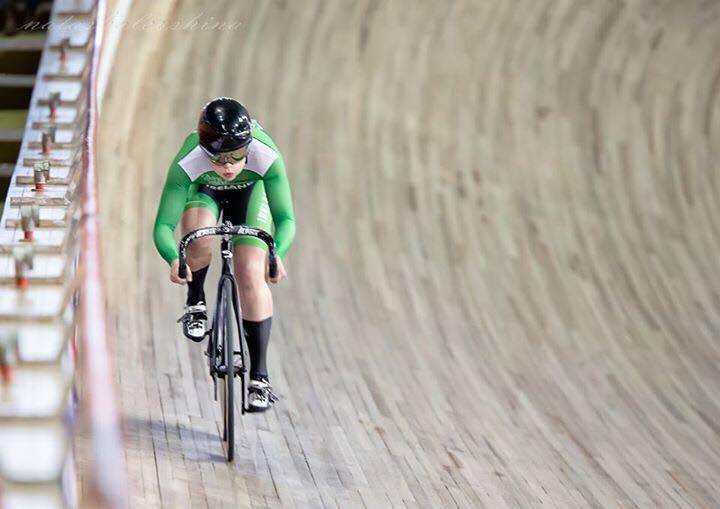 She is a national record holder and is the reigning Irish champion in the sprint, 500m TT and keirin events.